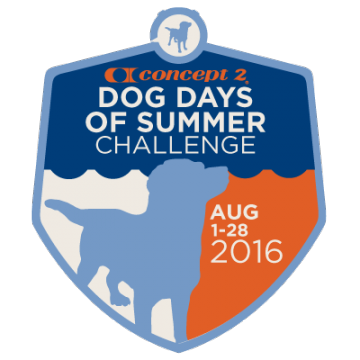 The Dog Days of Summer runs from August 1–28 and features a different total distance goal each week. The distance goals do not have to be done in one sitting, but must be done during the timeframe indicated. By the end of the challenge, you will have accumulated 100,000 metres. 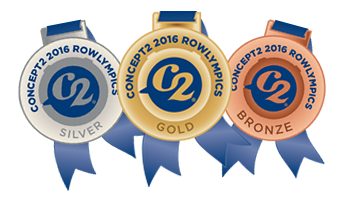 The Concept2 Rowlympic Challenge coincides with the Olympic Games. This rowing challenge celebrate the spirit and competition of the Games: represent your country by earning virtual medals (gold, silver, bronze) for the number of hours rowed. Hour totals are cumulative and do not need to be completed in one sitting. Meet the following hour totals during the challenge dates. Indoor rower and on water metres count. I reckon I've rowed 10 hrs and 40 mins but the Concept2 online Challenge registers 9 hrs 20 mins. Server glitch; all fixed now.